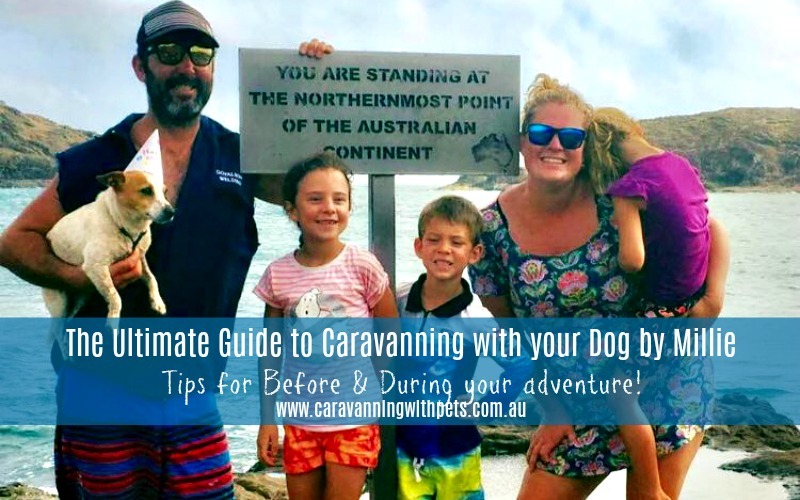 Millie and her family are living full time on the road and they share with us their top tips for travelling with your dog – Advice for BEFORE you set off and some awesome tips for when you are on the road and getting to know your fur baby…making this the Ultimate Guide to caravanning with your dog! 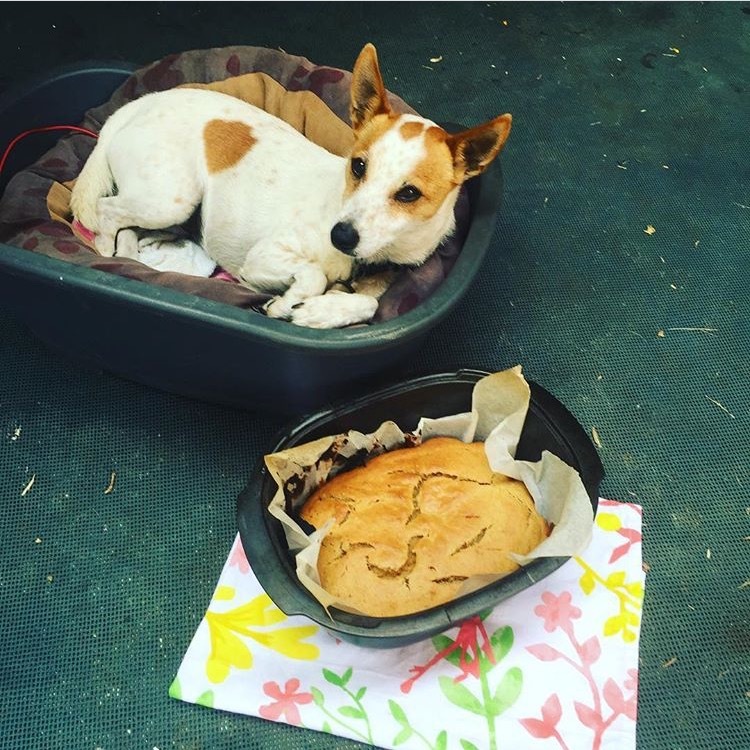 We have our dog Pippy Perry alongside us for the journey – is she a pain? Nope – Andrew is much more trouble than Pip will ever be! We did consider finding her a temporary home but we are gone indefinitely and the thought of not seeing her for a few years was just too upsetting to even think about! Our advice before you set off on a big trip! Have dog poo bags EVERYWHERE – in the car, your wallet, caravan, handbag etc. If your dog does do a No.2 PICK it up! If you don’t every other camper will judge you (myself included) there is nothing worse than treading in it! Buy bulk pigs ears & dog snacks – our Pip will take approximately 1hr to get through one. A good big sturdy water bowl – not the collapsible ones, they become unstable after a few weeks. A few dogs leads – we have a lead in the car & one in the caravan and a few super dooper long ones so Pip can spread out! Have a copy of your dog’s vaccinations in the glove box just in case it needs to go in a kennel in an emergency, in a pinch you can always get a copy faxed or emailed to you from your vet! Make sure the mirco-chip information is up to date! Make sure you have a name/number tag on their collar! Car restraints – there are actual laws about this that vary from state to state! That 30kg pooch sitting on the back seat quickly becomes a 30kg projectile in the event of an accident so it’s a good idea to look into how to keep the whole family safe e.g. harness, cargo barrier etc. Get to know your dog – this is a big one! Are they ok on a lead? They spend a lot of time on the lead when you are on the road – do they carry on like a pork chop when they see other dogs? Knowing all their quirks make life so much easier! 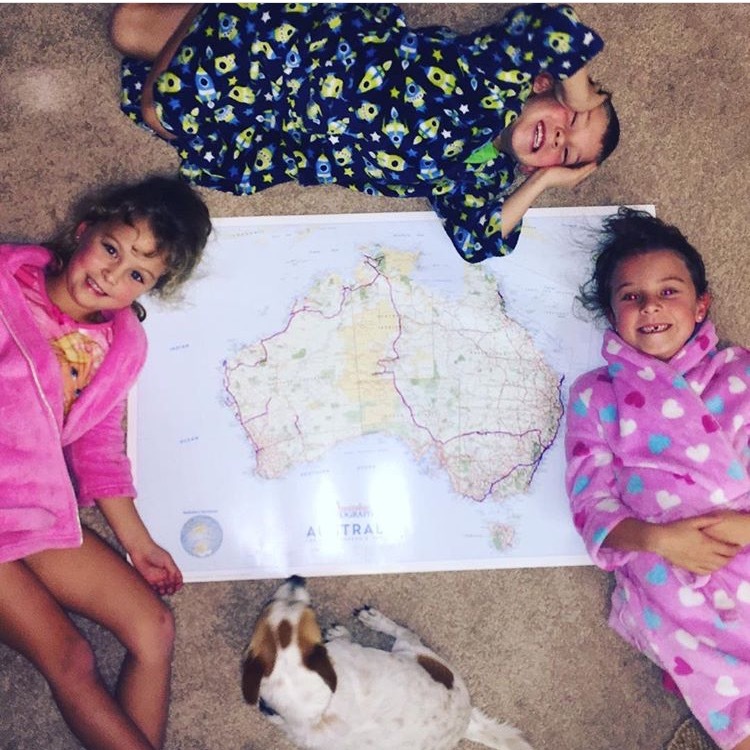 Will they be happy to be left on their own for short periods? Can they handle being on their own if you all go to the shower block at the same time? Or if you all go to the camp kitchen for dinner together? Are they barkers? If you aren’t sure your neighbours will be quick to tell you! What are they like near water? Pippy will run & jump off a jetty quicker than you can say ‘croc’ – so she is on a lead before we open the car doors! 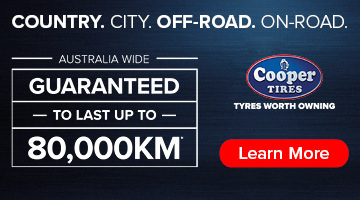 Good to know in advance when you head north into croc country! Do they come when they are called? 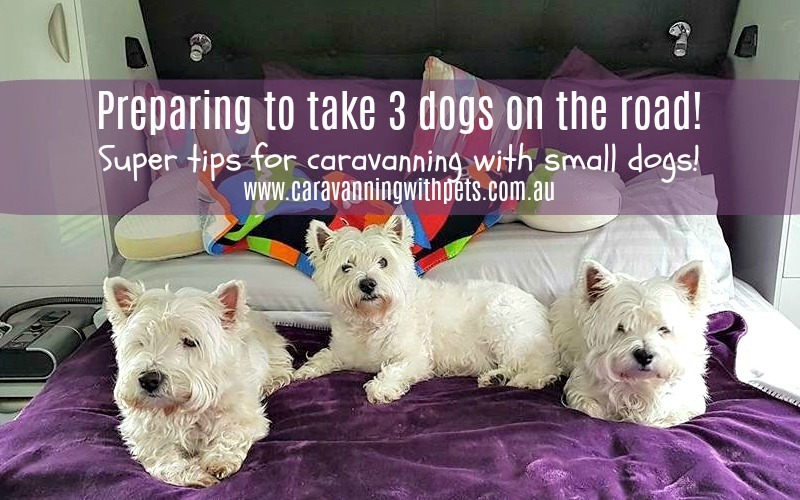 Our Pip is obedient-ish but I have seen a few grey nomads chasing fluffy white dogs around caravan parks – it’s a bit cute to watch but probably not so cute if you’re the one doing the chasing! Do they get car sick? Pip doesn’t but it seems to be surprisingly common for dogs! Tips for when you are on the road! Exercise your dog! Pip goes on at least one walk a day – not only is it great for me & Pip but we meet so many lovely people locally and also those staying in the same place as you. My last tip, and we learnt this the hard way! When you know you have a big day of driving coming up – make sure they do a number 2 before you head off – our Pip had an accident in the car once, we can laugh about it now! What do you do with her when you go site seeing or to national parks? We take Pippy almost everywhere & know her very well – she is happy to sit under a tree eating her pig’s ear while we swim at the pool etc. And remember when I said you meet lovely people when you walk your dog in the morning? Most people are happy to babysit your dog in exchange for you babysitting theirs. We have even had people travelling without their dog offering to mind Pippy because they miss their own pooch so much! Most Dog friendly caravan parks are able to give you advice on local dog sitters, alternatively there are dog kennels for overnight/longer stays. Check out gum tree, pawshake etc for pet sitter details local to the area you are in! Although the more rural remote you get the trickier it can be! We don’t regret bringing Pippy with us – not for one second! Follow us on Instragram & Facebook – Our site is 100% PET FRIENDLY – because it has to be! Don’t be shy to message us with any questions or with your hot tips of your own that might help us along the way! 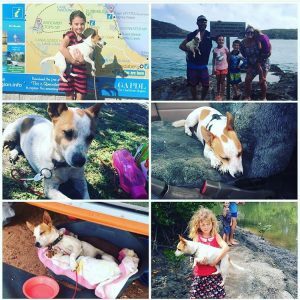 Have you checked out CARAVANNING WITH PETS?? 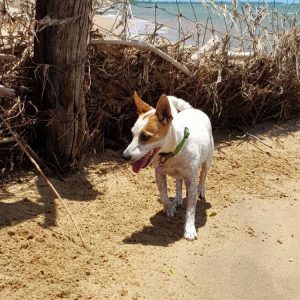 Our sister site with pet friendly stories from real families!